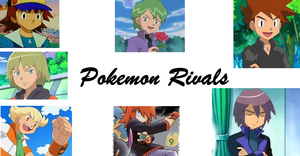 Pokemon Rivals. . Wallpaper and background images in the Pokémon club tagged: rivals pokémon. Love it, has some of my favorite characters.